We are facing a reinvention of the classical products. We are finding our origins and searching to find perfection in these products. This has become an up and coming trend in times of crisis. These products are not only handmade, they have a lot more behind them: luxury and perfection, not designed for the mass market. It is true that the most recommendable is to give clients what they are looking for, but we should never loose our essence, sometimes our clients do not know what they want. Luca Rubinacci makes suits that start off at a selling point of 4.800 euros, he has not met the crisis. Luca has made the term bespoke his “modus operandi”, tied the term with a bold use of color in his suits and styles that have made him the coolest seamstress in the world. He has confessed: “there are people who hate me because I am breaking the mold”. He is frequently seen on The Sartorialist, and one of the favorites of Scott Schuman. In 2011 he was ranked #7 in the anual list of most elegant men in the world, elaborated by the British edition of GQ, leaving behind George Clooney amongst others. It is also interesting to note that 8 out of the top 10, were his clients. At his ateliers in Naples, Milan and London more than 1.000 suits are made by year. Each one of his suit jackets take about 72 hours of labor. To make the wait less extenuating for his clients, he invites them to stay at his family home in Naples. This family home is made up of 5 suites, where his clients can enjoy the city beyond stereotypes. 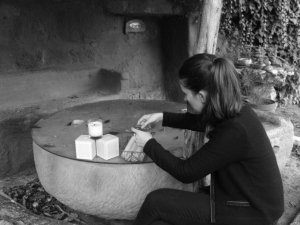 María Catarineu recuperated with her associate, the soap company Hijos de Cararineu and Cía, company founded in Aravaca (Spain) in 1810. They produce soaps made of olive oil as main ingredient, with a recipe inherited by her ancestors, and in only 3 years they have managed to open 16 more selling points only in Japan. Their prime market. 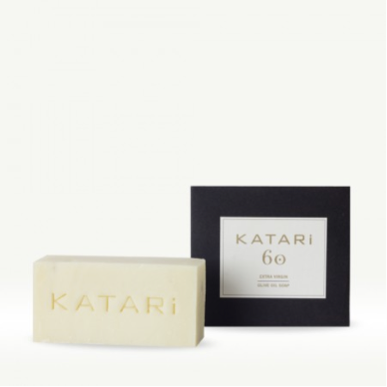 The Brand under which their commercialize their products is Katari, which means communication in Japanese, and its precisely what they aim to transmit, people who communicated through their skin. Their success in Japan is based in the fact that Japanese people adore olive oil, and that Japanese women look to differentiate themselves through their skin, and they don’t look at the sticker price when buying natural products. This entry was posted on March 19, 2013 by mcquant in Guests and tagged Fashion, Hand Made, Katari, Luca Rubinacci, Luxury, Products, Soaps, Trends.